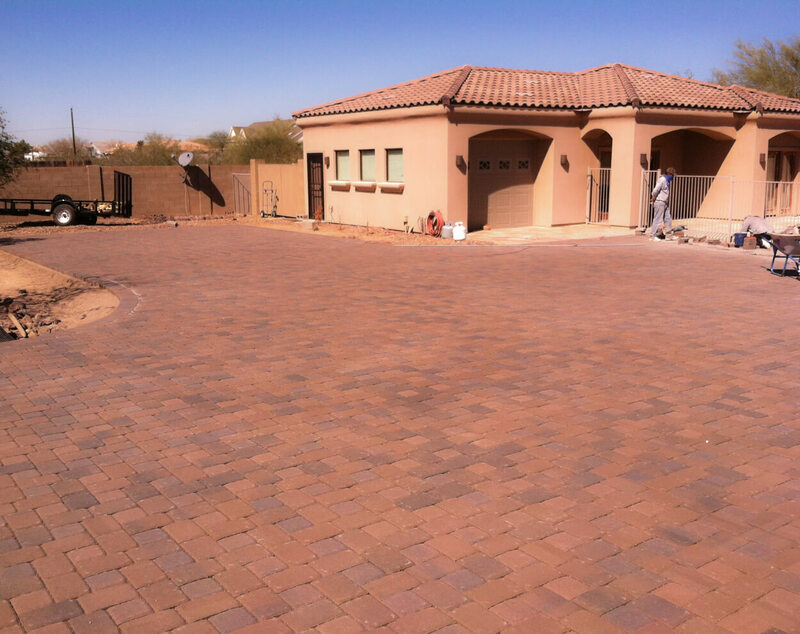 Nothing welcomes you home quite like a beautifully paved driveway. 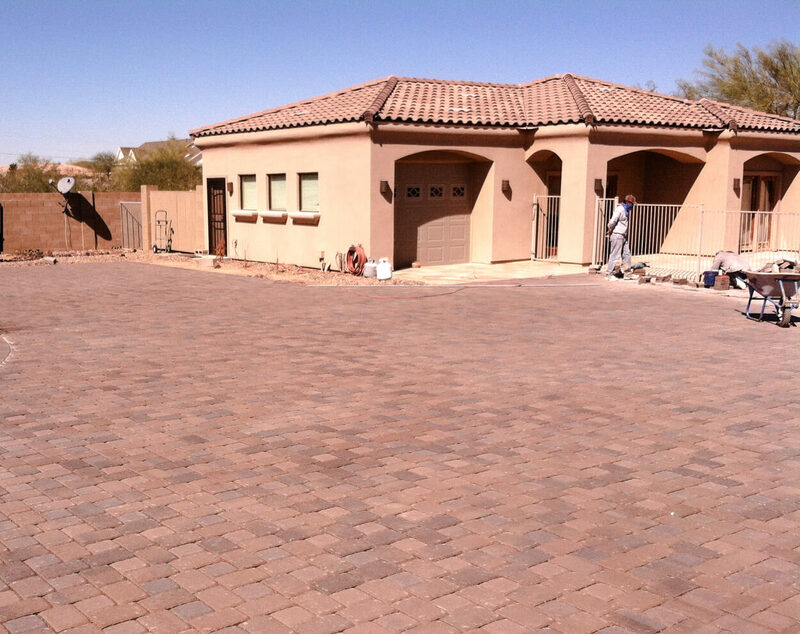 In Arizona, if your driveway is cracked or stained it can drive the value of your entire home down. 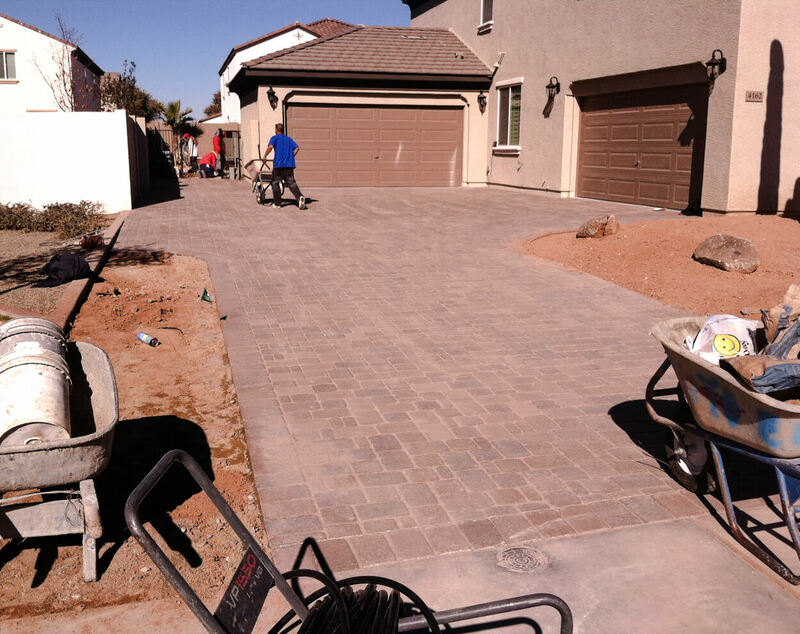 We’ll create a driveway design and front yard landscaping that will impress your neighbors. 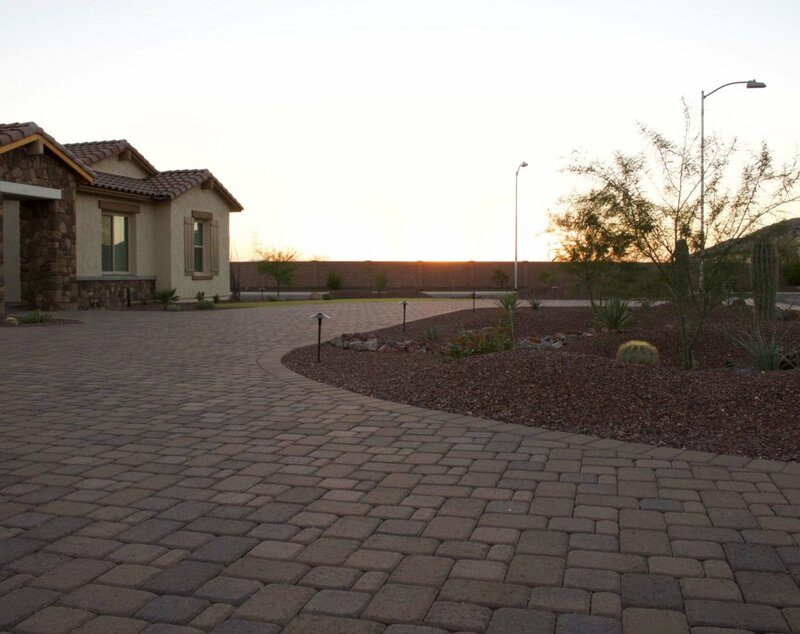 As a certified Belgard paver installer, we will give your driveway that custom look that will set it apart from the rest, and you’ll have the peace of mind of a lifetime warranty from Belgard. 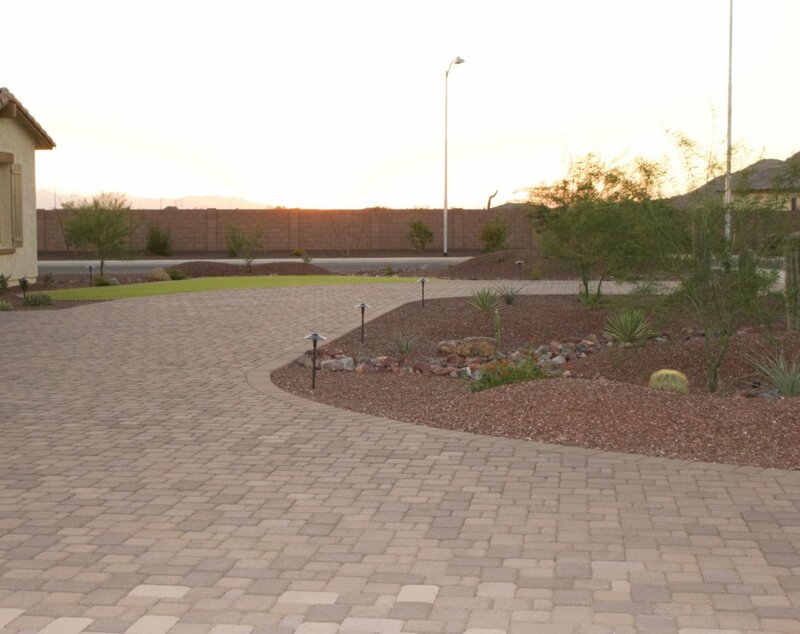 We will also integrate landscaping based on your preferences and style of your home. With an experienced designer at the helm, and all of your preferences in mind, you’ll love coming home more than ever before. 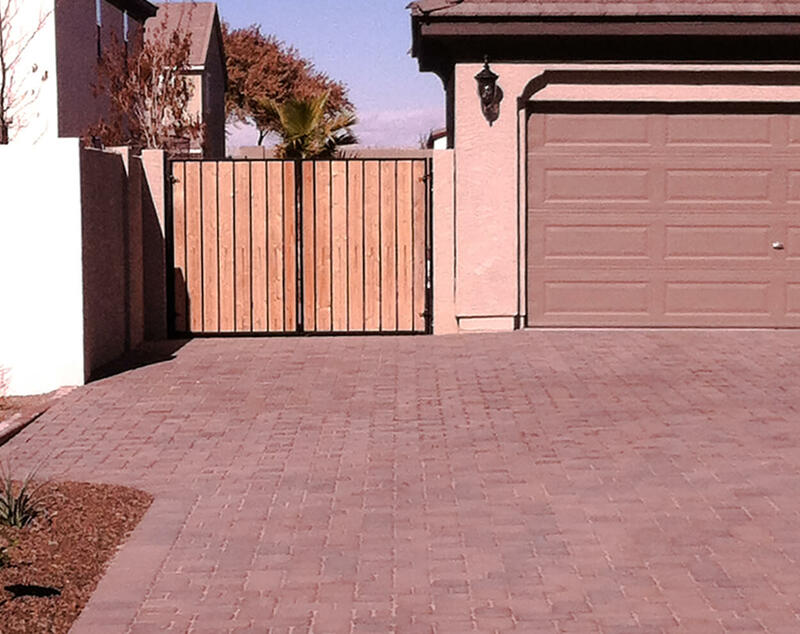 Do you need more driveway space to store boats, RVs, or extra cars? We can integrate the storage you are looking for in a stylish way. If your driveway is too steep, or you’re scraping the bottom of your car every time you come or go, we will come up with a custom plan that fixes the issue, and will last for years. Our design will complement your home, and we can add landscaping that will really make your house stand out on the block. It’s all down to you and your needs. All of our designs are custom and created with you, your lifestyle, and family in mind.